Until the thunder once more fierce and powerful in its pounding begins the number once again. But this time I have brought something to steady me against the tempest raging outside, a cup of tea, slightly steaming and a slice of cake to nibble during the encore. Prepare a large loaf pan by cutting baking paper to fit the length, letting the excess fall over the sides. Grease and flour the ends of the tin. Mix the flour, ground almonds, baking powder, and lemon zest in a bowl. In a separate bowl, beat the butter and 200 g sugar till light and fluffy. Add the eggs, one at a time, mixing well after each addition. Gently fold the dry ingredients into the wet ones. Scrape the batter (it will be thick) into the prepared loaf pan. Bake 45 minutes, until risen and golden brown on top. Remove from the oven and let cool in the pan. While the cake is cooling, make the syrup: mix the juice of your large lemon with 2 Tablespoons of sugar and 1tbs dried lavender. When the cake is cool, pierce it all over with a bamboo skewer and spoon the syrup over it. Let it soak in. Sprinkle some demerera sugar on top. taste: 4/5. Afternoon tea just got tastier. The cake was more moist than than Derek Zoolander's Merman; it was soft, slightly sticky and easy to eat. Flavour-wise the cake was politely sweet in a very charming way. The bright lemon added a slight tartness to the lavender's girlish floral bouquet, whilst the demerera sugar on top added a wonderful caramel-hinted crunch. The three flavours worked wonderfully together, although I would have liked more of a citrus kick and would most likely add another 2tbs of lemon juice to the syrup. I can't decide what is more beautiful - your words, or this cake. I'm never like lavendar as an air freshener but adore it in sweets. Definitely bookmarking this recipe for when I'm back in Canberra! may have to add this to my to do list. I love cooking with lavender. It reminds me so much of my grandmother, she loved it! Your writing is so lovely :) I love the looks and sounds of this cake! I don't cook with lavender enough. Gosh, I love your writing daaaaaaahling, especially your Zoolander reference. You are a girl after my own heart. Beautiful cake! Lemon and Lavender is a wonderful combination of flavors! Oh, my. I loved the original recipe, but now I think I'm going to have to try this one. What a wonderful idea! 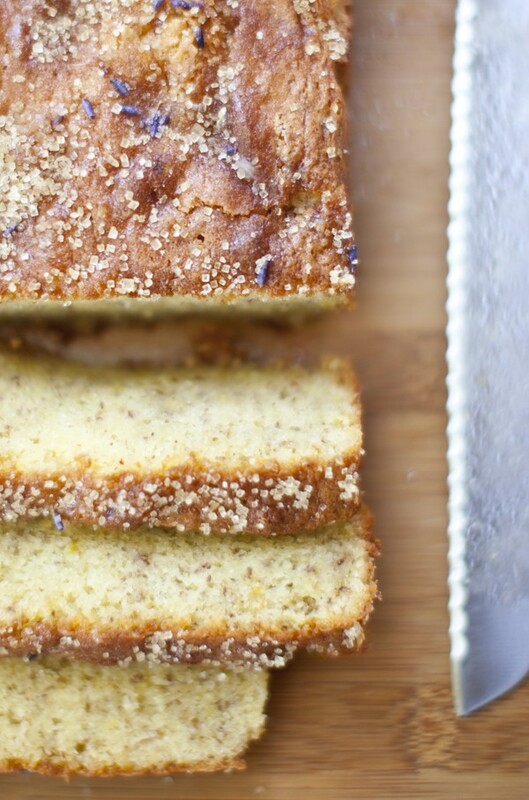 lavender is such a classy ingredient, and this is a terrific loaf. thanks for the great read and lovely recipe! 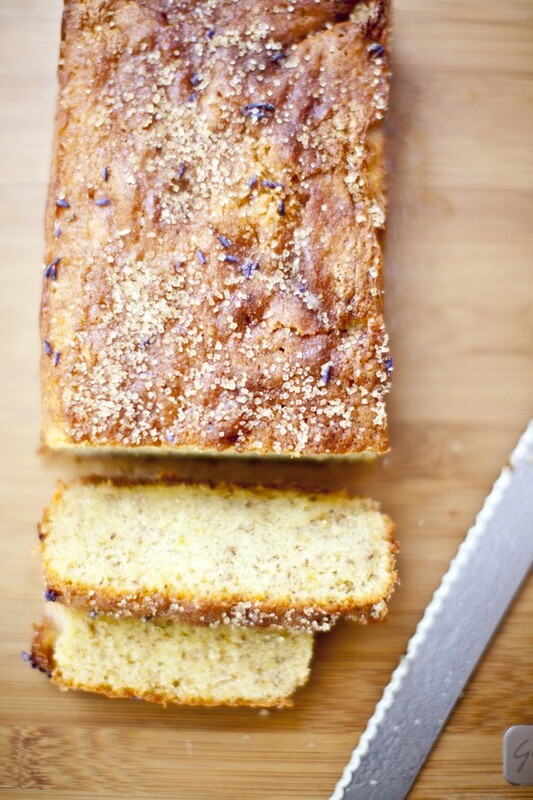 A few years ago I had a lemon and lavender cake at bistro moncur and never could find a recipe like it. I was delighted to read this post. It looks as good if not better! Very pretty specks of lavender. Looks simple and simply delicious. What an absolute delight for tea! And I have some lavender too! What a gorgeous cake. I want this for morning tea. I really need to get some lavender. Also, this cake looks awesome. Save me a slice! Lemon and lavender with the delicate touch of ground almonds, lovely! I also love your writing. Just found your post via Pinterest. Wonderful! The cake is going to be our easter cake tomorrow. Can't wait! Thanks for sharing!